LOS ANGELES, Sept. 16, 2010 -- The Northrop Grumman Corporation (NYSE:NOC) Foundation continues its Weightless Flights of Discovery program in Memphis, Tenn. today lifting 30 more schoolteachers into weightlessness. This year's program started Tuesday in Cincinnati, with the ultimate science experiment, the release of more than 2,000 ping pong balls. The experiment was designed by "Science Bob" Pflugfelder, a Boston-based science teacher who joined the teachers on the flight. The experiment tested the effect of zero gravity on objects of smaller versus greater size and mass (i.e. ping pong balls versus teachers). Experiments have been a key aspect of the Weightless Flights of Discovery program since it was first launched in 2006. 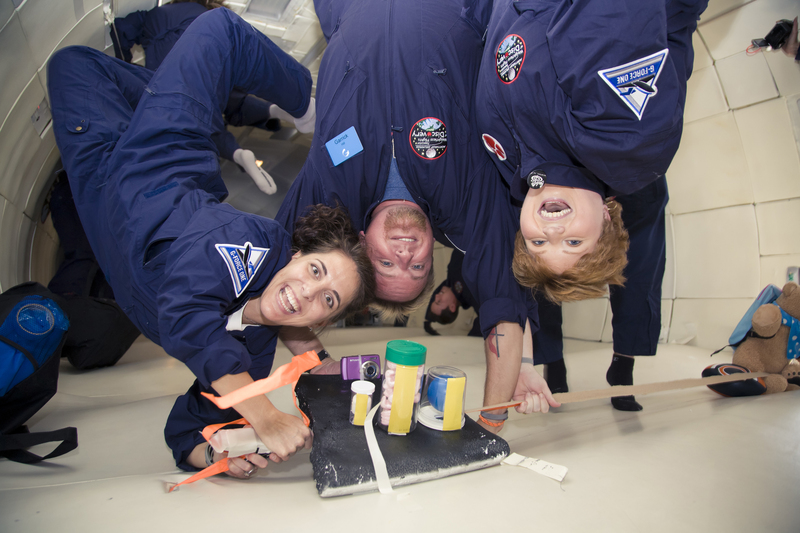 Participating teachers work in teams and collaborate with their students to create experiments that test Newton's Laws of Motion during a series of parabolic flight patterns that create lunar, Martian and zero gravity within the aircraft. Teachers then take video and photos of their experiments back to the classroom to share with their students, inspiring them to get excited about science and math, and ultimately choose careers in those areas. Following Memphis, the 2010 Northrop Grumman Foundation Weightless Flights of Discovery program will continue on to Gulfport, Miss. (Sept. 20), Salt Lake City (Sept. 22), and Honolulu (Oct. 4). A sixth flight was held earlier this year in McAllen, Texas. Each flight will take approximately 30 science and math middle school teachers through a series of parabolas that create weightlessness. "The Weightless Flights of Discovery program was launched with the goal of inspiring teachers, who would in turn inspire their students to pursue science, technology, engineering and math (STEM) education," said Sandra Evers-Manly, president of the Northrop Grumman Foundation. "This program has succeeded beyond our expectations and is now very much in demand. We're delighted that 180 more teachers will join the 1,150 teachers nationwide who have participated to date." 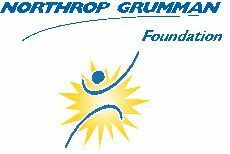 Northrop Grumman is partnering with the Zero Gravity Corporation to offer the Weightless Flights of Discovery program, one of several initiatives the Northrop Grumman Foundation sponsors to promote education and student interest in STEM fields. Prior to each flight, the selected teachers participated in a full-day workshop. Teachers then worked with their students to develop experiments to be conducted in environments simulating lunar gravity, Martian gravity and weightlessness (zero gravity). Following the one- to two-hour flight, each teacher then shares his or her experiences with the students back in the classroom. The program targets middle school math and science teachers primarily because the United States is experiencing a shortage of college graduates in these disciplines, a development that bodes ill for the nation's industries that depend on talented scientists and mathematicians. Because studies have indicated most children make the decision to pursue math and science education and careers during middle school, Northrop Grumman developed the Weightless Flights of Discovery to engage teachers, key influencers in the lives of students during these crucial years. "Our foundation's mission is to develop unique, sustainable and national-level programs to inspire interest in STEM subjects, and the Weightless Flights of Discovery initiative follows through on that commitment," said Evers-Manly. "Our nation's leaders, including President Obama through his 'Educate to Innovate' initiative, recognize the need to strengthen STEM education in the United States. Our Weightless Flights of Discovery program, now in its fifth year, is very much aligned with this important national goal," she said.